Well it seems I’m feeling better. My fatigue left me towards the end of last week and I got back into the groove of things proper by working my tail off in the produce department, completing research and homework, and playing video games. I’m seeing The Amazing Spider-Man later tonight so I’ve got something to look forward to. Afterwards, I’ll be neck deep in homework relating to business ethics and the environment. I tell you what, nothing will make you think the phrase “business ethics is an oxymoron” like reading in-depth about business practices and how they relate to the environment. On the bright side, there’s a lot of room for improvement. Red Dead Redemption has eluded me the past couple of weeks thanks to my increased focus on school. Still, the few hours I play it here and there keep me wanting more and continue to enlighten me of the impressive talent housed at Rockstar Games. When talking about The Elder Scrolls V: Skyrim, Bethesda Game Studios was given massive praise and rightfully so. One comment that stuck out to me (and it could’ve originated internally) was that the worlds they created were done so well, they were essentially the main character. Indeed, Skyrim was an impressive area in it’s totality. Playing Red Dead Redemption, I can see a glimmer of the same awesomeness in the massive environment they’ve created, but truly, Rockstar Games’ skills lie in the narrative – specifically the characters. They’re multidimensional personas that are not simply out to kill someone. The journeys I go on with them, where I’m giving a heaping helping of dialogue, fills me in on their motivations, goals, and personalities to such a degree that it’s almost pathetic comparing other games to Red Dead Redemption. Needless to say, it’s engrossing. Also, I must give enormous congratulations to my best friend and his wife for their newborn daughter. They’re two of my favorite people and I wish all three the best. The contents of the collector's edition of The Elder Scrolls V: Skyrim. I’ve written three articles covering collector’s editions of video games so far and they’ve all been similar. Namely, they all came in metal DVD cases; of course they contained other bonuses too but nothing spectacular in my opinion. 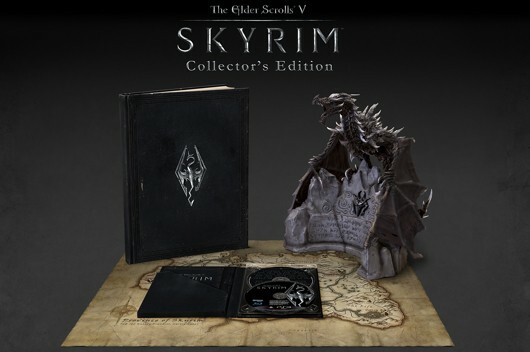 Well, when it came to releasing a collector’s edition of The Elder Scrolls V: Skyrim, Bethesda Softworks decided to do it big. The collector’s edition of Skyrim is hard to miss in a store thanks to the massive box it comes in. Because it houses a foot tall statue of the dragon Alduin, it takes up a lot of space, which is also why it’s been marked down from its original retail price of $150 to $100, so stores can get rid of them. That’s still a lot of money and the game itself is FANTASTIC and definitely worth playing, but maybe you don’t need all the extras the collector’s edition comes with. Alduin is really solid, like, made of rock hard plastic, and he has many protrusions, so he’s hard to grasp and handle. Luckily he comes with a stand resembling a word wall from the game, although the stand is hollow and feels cheap, the opposite of Alduin. Regardless, that’s not disappointing because it does its job of displaying Alduin well. If you’re unashamed in your love of dragons it’s a wonderful display piece, if you’ve got the space. Another bonus included in the collector’s edition is a massive art book, definitely the biggest and best I’ve ever received with a game. It’s not miniature like the ones I’ve received with other games; no sir, it’s a full size book. It contains nearly two hundred pages of concept art, computer-generated art, and descriptions of almost anything you can think of that’s in the game. It’s a seriously nice art book. Lastly, the collector’s edition features a documentary DVD distilling many facets of the game. It never delves very deep into any particular subject, but, like the art book, covers so many features of the game. I wished I watched it before playing through the game or at least before beating it, but listening to the developers discuss various features of making Skyrim was still interesting. The collector’s edition of The Elder Scrolls V: Skyrim sells for around $100 now and personally, I think the premium over the standard edition is worth it, if you’re into displaying massive statues of dragons. The statue of Alduin is badass, the art book is ridiculous compared to the ones that usually get bundled with collector’s edition of video games, and the documentary DVD provides some deeper insight into the game. Too bad the game doesn’t come in a nice SteelBook though. 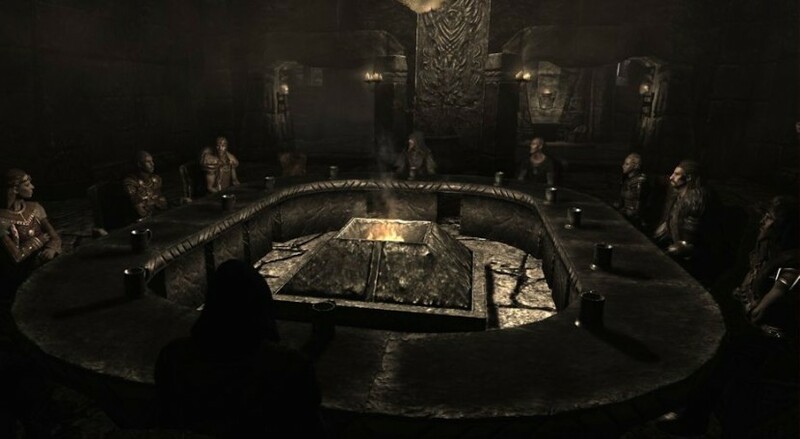 The peace talks between the Stormcloaks and the Imperials. When Lydia and I made it back to the Throat of the World, I spoke briefly with Paarthurnax before unrolling the Elder Scroll and getting a glimpse of the past. As I raised it to my eyes, it changed what was in front of me. A colorful aura displayed the ancient Nordic warriors discussing their battle strategies before Alduin returned to the highest peak in Skyrim. Hakon, Gormlaith, and Felldir gave it their all but it wasn’t enough. Facing death, Felldir resorted to using an Elder Scroll with unknown effects. It worked back then; unfortunately it sent Alduin forward in time. Watching this battle was an important step in defeating Alduin because I heard the ancient heroes use the Dragonrend shout, and I can duplicate it. Before we had a chance to leave the Throat of the World, Alduin surprised us. He spoke and sauntered about before unleashing his fury on us. When I shouted Alduin was grounded and left open to our attacks. We wailed on him before he fled. Paathurnax was in awe of our strength but he warned us that Alduin had most likely returned to the sanctuary where Alduin feeds – Sovngarde. Somehow Alduin has found a way to enter into the realm of the Nordic afterlife. Paarthurnax knew the whereabouts of his entrance and it’d require an aerial entrance. Paarthurnax would not be able to aid us though. Fielding ideas, he told us of the history of Dragon’s Reach. 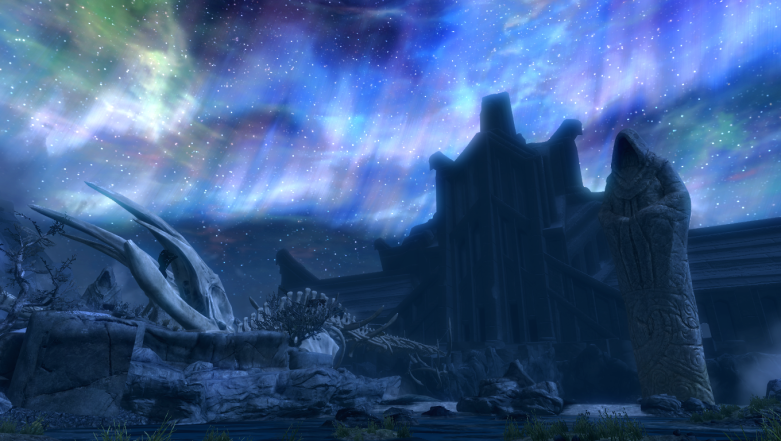 The fortress the Jarl of Whiterun calls home was originally intended to capture a dragon, hence the name. Paarthurnax told us that the ancient hero Tiber Septim captured one there and if he was able to do, so can I.
Lydia and I traveled to Whiterun and we spoke Balgruuf the Greater. He was weary of the idea and wouldn’t agree to while Whiterun was still under threat of attack from the Stormcloaks. He knew it was extremely unlikely, but he suggested I should broker a temporary peace treaty between the Imperials and the rebel Stormcloaks. The only way he thought it would work is if it was overseen by the Greybeards. After getting Arngeir to accept the idea, Lydia and I ventured far to the northeast to speak with Ulfric Stormcloak in Windhelm. Ulfric was a strong-willed man, no wonder as he initiated this civil war, but when he knew that the Greybeards were wanting peace, at least until the dragons were dealt with, he accepted, so long as the Imperials accepted too. So, we headed all the way across Skyrim and into Solitude. Lydia and I convinced the Imperials to join the meeting and we headed back to High Hrothgar. The dialogue between all sides was intense. Each side wanted outrageous demands such as replacing the standing Jarls of opposition cities with those loyal to their respective sides. Neither side was happy with their results, but it was enough to have the halt their attacks, and allow me to trap a dragon in Dragon’s Reach. Before leaving High Hrothgar, Delphine (her and Esbern also attended the talks) pulled me to one side and gave me an ultimatum. She wanted me to break all connections with the Greybeards and stay on my track of ridding Skyrim of dragons, including Paarthurnax. I told her to give it a rest. Paarthurnax has been of great help to me and sure, he’s made mistakes in the past, but I’m not going to murder him. That’s the way it’s going to be I guess. 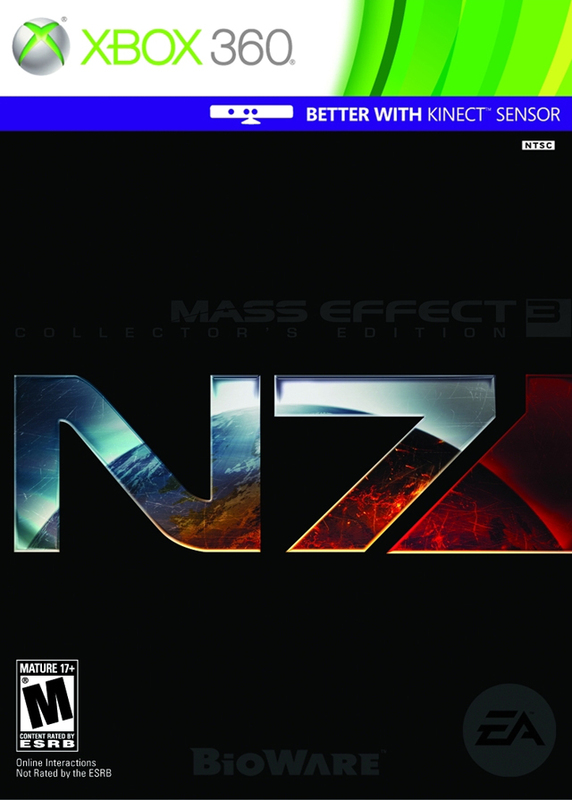 Well I picked up Mass Effect 3 last week, but unfortunately I haven’t had a lot of time to play it yet. I originally preordered it from GameStop, but did so too late and wasn’t able to reserve a copy of the collector’s edition. I was interested in what it came with and it wasn’t extraordinarily expensive so I went on a quest after missing out at GameStop. I went to Walmart next, same story, had to preorder it, but Target was my savior and had copies. So for this week, I’m looking forward to getting to play it. Beyond that, I’m looking forward to posting articles this week. I should post my thoughts on Phantasy Star and my last post of Alfhedil’s Journal for a long time to come, but not the last! I might even finish an article over the new group/album WZRD. I’m brimming with new articles too!